← Birds, birds and more birds! At Last a Baby Dunnock! Yesterday evening, I was alerted to a high pitched squeaking sound, I wondered what it was. 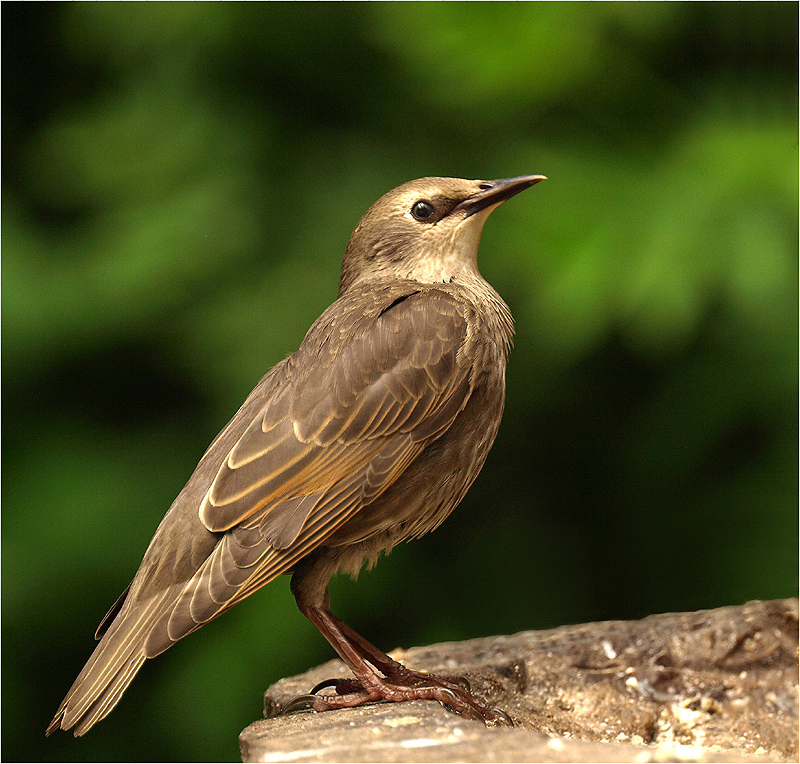 As I peered into the yard, my eyes alighted on a small brown bird. A Dunnock! But this wasn’t Mr. Dunnock who visits but a young bird. David had arrived by that time and was also watching, he said that there were ‘two other Dunnocks in the tree opposite.’ Mum and Dad? Thankfully the baby Dunnock stayed on the wall long enough for me to film him before he disappeared into the foliage. Today, Tuesday I have also been lucky enough to have my camera handy to capture the Greenfinch that has been a regular visitor to the sunflower seeds. I hope you like?